Data is extremely important information to an organization. Today, data is being used to operate all sort of activities inside a firm. All of the services basically comprise of collection of data represented in an organized manner. It is crucial to keep this data safe in order for all the services to run properly. Data can be kept safe with the use of data recovery software. These software allow the user to recover their important data, including files and folders. 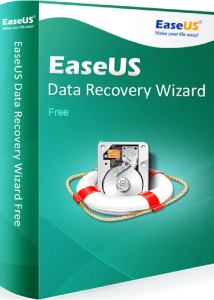 There are several data recovery software in today’s time, however, EaseUS Data Recovery Software is one of the finest and easy-to-use software. It makes use of simplified tools alongside an interactive interface, to make the whole recovery process easier. The software can be used on a number of storage devices, such as mobile phones, flash drives, MP3 players, pen drives etc. The file recovery software can assist you in recovering files, such as documents, compressed, video, music etc. It also allows you to recover data from various unexpected circumstances, such as hard drive failure, OS failure, virus attacks, system crash, partition loss etc. The data is recovered is placed back in its original location, where it was before being deleted. The software is easily available from the official website of the company. The software is provided in 4 packages, which are Free, Pro, Pro+WinPE and Technical package. As the name concludes, the first package is free and it allows you to get a trial run of the software. It provides all the features, with one limitation that you can only recover 2 GB worth of data with it. If you wish to recover any more, you need to purchase either of the premium packages, which feature additional tech support and unlimited recovery options. The data recovery software utilizes data remnants, left behind be deleted files. By looking for these remnants, and compiling them back together, the software is able to recover the original files. To do so, the software makes use of an automated process, using two modes, which are Quick scan mode and Deep scan mode. The quick scan mode is fast mode, which aims in delivering fast results. It quickly goes through the memory in search of all the recently deleted files. Once the search ends, it displays all the results on the screen within a few minutes. Files can be recovered from this page easily, by selecting the files and recovering it. If your desired data is not in these results, you can opt to go for the second mode, which is the deep scan mode. The deep scan mode is an advanced mode, which dives further into the memory. Due to its advanced nature, it also scans hidden, inaccessible and system files, however, in doing so it also takes much more time than the quick scan mode. Once the deep scan mode ends, the results from both modes are combined. The results can then be recovered one at a time, or multiple files at once. The results can also be exported or imported according to the user’s choice, and if you are not sure about the content of the files, you can also preview the content before recovering.